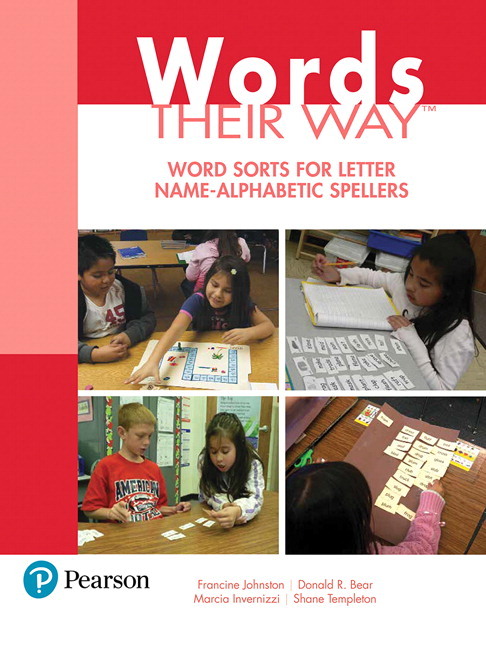 In keeping with the authors’ belief that the hands-on word sorting approach to word study is invaluable to teachers and students alike, this volume presents prepared sorts covering the complete curriculum of word study for the letter name-alphabetic stage of spelling development. 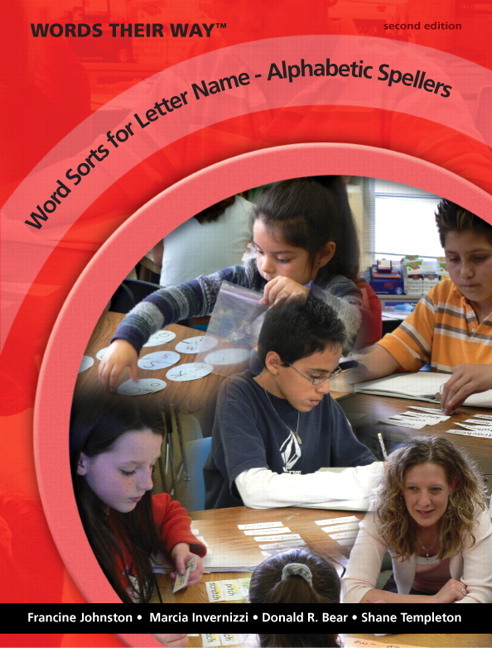 Complete with 60 blackline masters, specific teacher directions, suggestions for follow-up activities, and spell checks for ongoing assessment, this collection of sorts includes both picture and word sorts for students who are in the letter name-alphabetic stage of spelling development. The new edition includes new sorts, clearly stated generalizations for each lesson, step-by-step directions for each sort, and a new pacing chart and goal setting record form. Together, the Words Their Way core text and this supplement provide teachers with the knowledge and tools to meet the wide range of needs in today's classrooms. 60 prepared sorts cover the complete curriculum of word study from the letter name-alphabetic state of spelling development. NEW! 11 new sorts add to the book’s wide assortment, including 4 new sorts to target challenging consonant contrasts (such as b and p) for students who confuse similarly articulated sounds, and a new unit addressing preconsonantal nasals. Notes for the Teacher are found in each unit, providing placement guidelines and background information about the features of study. The notes also describe weekly routines that ensure practice and enrichment, while offering suggestions for literature connections and games. Directions for how to introduce the sort as well as additional teaching tips are included in each lesson. NEW! Clearly stated generalizations for each lesson. NEW! Step-by-step directions for each sort, expanded to encourage active thinking with questions to guide reflection and generalizing. NEW! A new pacing chart and goal setting form to provide guidelines for placing students in the lesson progression, suggestions for modifying the progression of sorts, and tools to monitor students’ progress through each unit. 11 new sorts add to the book’s wide assortment, including 4 new sorts to target challenging consonant contrasts (such as b and p) for students who confuse similarly articulated sounds, and a new unit addressing preconsonantal nasals. Clearly stated generalizations for each lesson. Step-by-step directions for each sort, expanded to encourage active thinking with questions to guide reflection and generalizing. A new pacing chart and goal setting form to provide guidelines for placing students in the lesson progression, suggestions for modifying the progression of sorts, and tools to monitor students’ progress through each unit. Francine, Donald, Marcia, and Shane are the core authors of the Word Their Way® series.